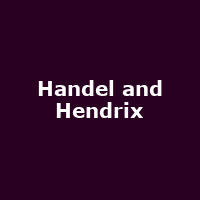 "Handel & Hendrix in London is made up of two residences: Handel's house at 25 Brook Street and Hendrix's flat at the top floor of 23 Brook Street. Handel House has been open to the public since November 2001 and Hendrix's flat was the administrative office for staff. After substantial fundraising and support from the Heritage Lottery Fund Hendrix's bedroom has been restored to how it was in 1968-69 along with additional exhibition and interactive space for visitors."